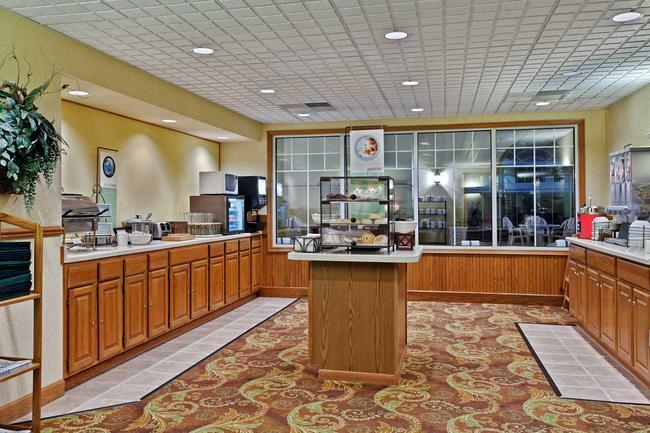 Before heading out for the day, be sure to stop by the dining room at the Country Inn & Suites, Freeport for a complimentary, hot breakfast. You can make a Belgian waffle drizzled in syrup and pour yourself a cup of hot coffee. If you enjoy lighter morning fare, help yourself to yogurt, fresh fruit and muffins. When lunch and dinner appetites strike, try a delicious meal from one of the local restaurants.